There’s something strange yet familiar about coming back to the Nintendo 3DS after almost of year of Nintendo Switch. It feels like the 3DS should be reclining in a deck chair somewhere with a gin and tonic, enjoying its retirement, but here it is still working away, bringing us new games. And this month it’s got Pokémon Ultra Sun and Ultra Moon. 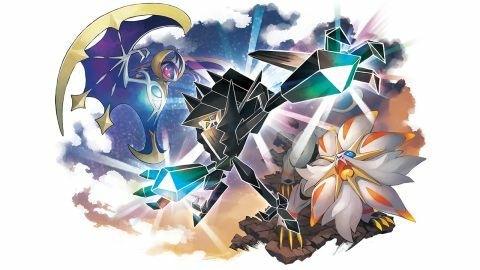 Not quite the upgrade equivalent of Pokémon Platinum from Pokémon Diamond and Pearl, Ultra Sun and Ultra Moon are more like remakes of last year’s Pokémon Sun and Moon, adding new features and story segments. It’s a strange move for GameFreak. Remakes like these are usually released at least two years after their originals - or 10 years if you look at HeartGold and SoulSilver - so to be playing almost the same games again just a year later feels odd. For anyone who didn’t play Pokémon Sun or, indeed, Moon, this new generation plays with the conventions of what makes a Pokémon game. Gone are Gym Battles, with trainers instead fighting through a series of trials across the tropical islands of Alola - basically the Pokémon version of Hawaii. They’re not your typical battles either, some will involve dancing, collecting herbs and other errands. Team Rocket wannabes are punk outcasts with OTT dance moves and you have friends rather than rivals. It might all sound a bit strange, but it really works and mixing up the formula of a series that’s been around for 20 years is as innovative as it is brave. Thankfully it pays off, and with all the new content that’s included with Pokémon Ultra Sun and Ultra Moon such as the new storyline, fleshed out photo mode and brand new Pokémon, it feels like the complete package. Or at least a wonderful final hurrah for Nintendo’s ageing 3DS. The original story of Sun and Moon is still here, but there’s another added element to your adventures in Alola. From the beginning it’s apparent that you’re being followed by a mysterious duo from the Ultra Recon Squad who are learning about Pokémon and trainers and generally seem a little… odd. For all the brilliant off-the-wall storytelling in Pokémon Sun and Moon, this new set of games takes that quirkiness and really dials it up to 11. It will eventually surprise and entertain even if you’ve played last year’s entries, and although I won’t spoil it for you here, the journey you go on in Ultra Sun and Ultra Moon actually takes you to other dimensions where the Ultra Beasts dwell. It’s just a shame that the real storyline additions don’t occur until very late in the game. But, for someone who’s been playing Pokémon games since Pokémon Red and Blue, it feels like GameFreak is more than happy to take the series in surprising directions, whilst still playing up to gamer nostalgia. If you’ve been there since the beginning like me, there’s a lot to love about Ultra Sun and Ultra Moon’s late game content, and I’ll say no more on the matter. But this new gameplay content doesn’t disguise the fact that at times the pacing of Ultra Sun and Ultra Moon seems incredibly slow, even by the standards of a Pokémon game. Choosing your starter, doing all that opening story stuff with your mum and the professor and working your way through the Rattata and Pidgey level fights - or whatever the early game critters are in each generation - all feels like it needs a serious reinvention. Despite new settings, new faces and new Pokémon, there’s no getting away from the fact it’s been done many times before. And I’ve played every single Pokémon generation, so I’ve done my time in Professor Oak’s lab. That’s not to say that the innovations the Sun and Moon generation introduces are lost on me. All the non-combat features of Pokémon Sun and Moon are still here too. From the Nintendogs-style care options that have you physically cure poison, brush off dirt, pet and generally attend to your Poké crew, to the Poké Pelago for bean harvesting and finding new critters without battling, there’s plenty of stuff aside from your ultimate quest to catch ‘em all. (Don't even get me started on the excited noises I made when discovering Pikachu Valley.) In fact, sometimes you’ll spend so much more time doing all the other things that Ultra Sun and Ultra Moon starts to feel more like a Stardew Valley or Animal Crossing than a battling game. The new features - storyline aside - only reinforce that feeling too. There’s Mantine Surf - a surfing mini-game to get you between islands - and the new photo mode function. It’s not anywhere near on a par to anything you’d get with Horizon Zero Dawn, or even Super Mario Odyssey (this is still 3DS remember), but it does play up to the fact dressing up and bonding with your Pokémon is fun in Ultra Sun and Ultra Moon. If this was on the Switch, I’d be sharing my awesome photography skills all over the social stratosphere, but here I can barely take a screenshot. Reviewed Pokémon Ultra Moon on the New Nintendo 3DS.